Julie Brown (INSEAD AMP 1999) is CFO of Smith and Nephew. After a professional career with KPMG, Julie spent 25 years with ICI, Zeneca and AstraZeneca and joined Smith & Nephew at the beginning of 2013. Carolina Costa (INSEAD MBA 1998) is Managing Director at Orange Innovation & Networks UK. Carolina has a track record in leading major transformation programmes for large scale businesses across the world from experience in the automotive, telecoms and management consultancy industry. Deborah Fuhr (Kellogg MBA 1989) is Partner and Co-founder at ETFGI. Deborah is the global expert on ETFs with over 20 years industry experience in financial products, 15 of which have focused on exchanged traded funds and exposures. 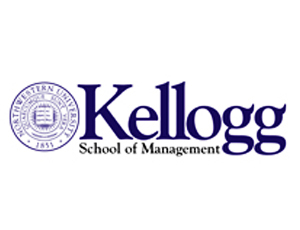 Kerstin Mogull (Kellogg MBA 1987) is Director of Strategy & Business Growth at Clear Channel International. Kerstin’s current remit at private equity-owned Clear Channel International includes digital, business development and programme management. Please note: Panellists represent their own opinions, not those of their employers. Please register using the link below. Friends are welcome to join. Registration closes 11 am on Wednesday, 9 October - bookings cannot be taken after this time and security at the venue will not admit anyone who is not on the list.